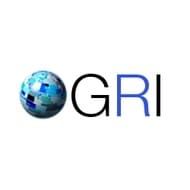 GlobalRiskInsights.com provides the web’s best political risk analysis for businesses and investors. Our contributors are some of the brightest minds in economics, politics, finance, and international affairs. Our goal is to help individuals and corporations analyze and understand the politics of doing business so that they can make better informed decisions about their economic activities in every corner of the world. Any questions, comments or enquiries can be directed to email. Why Is India Holding Out On The Paris Climate Agreement? Could China And India Save The Beleaguered Coal Markets?